Details about FingerWorks MacNTouch Multitouch USB Keyboard - RARE! FingerWorks MacNTouch Multitouch USB Keyboard - RARE! 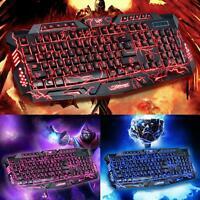 114 Key 3 Colors LED Backlit Wired USB Multimedia PC Gaming Keyboard US Seller!